Quality lodging, clean and spacious room, delicious breakfast for an acceptable price. Last visited in May 2006, room 912. This mid-range hotel lies in a central location (in Chennai, with everything being so spread out, it's difficult to call anything "central", but the beach, temples and sights of Chennai are a short motor-rickshaw ride away). There are actually two "Residencies" in Chennai, the Residency and the Residency Towers (higher class, costs more). This review is of the (old) Residency. The entrance and large lobby are luxurious and the staff are friendly and helpful. 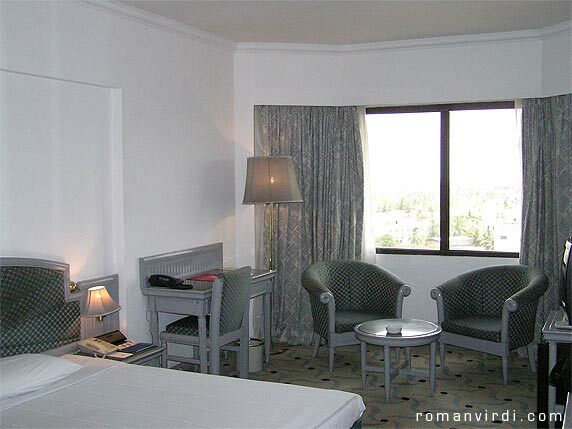 They have standard and superior rooms, both being the same size, but the superior having flat-panel TV's and a room safe. The standard was good enough for me and my room was right on the top floor, Room 903, in the direction of the hotel entrance. The view from up there was very nice, although no landmarks, nor the sea (which is in the opposite direction) could be seen. The room was wonderfully spacious, aged but very well kept (this hotel keeps it's painters busy), clean, had an amazing array of bathroom cosmetics including toothpaste and a toothbrush, a shaving kit and a bottle of coconut oil! A delicious, large breakfast buffet is included in the room price, making the hotel great value. You can control the a/c or turn it off and it was quiet and efficient enough to make for a comfy stay. A newspaper was delivered to my room early morning (standard practice in Indian hotels). The same restaurant which served breakfast also dished up an amazing dinner buffet for a reasonable price. Recommended! The "standard room" was very spacious and so was the bath/toilet. 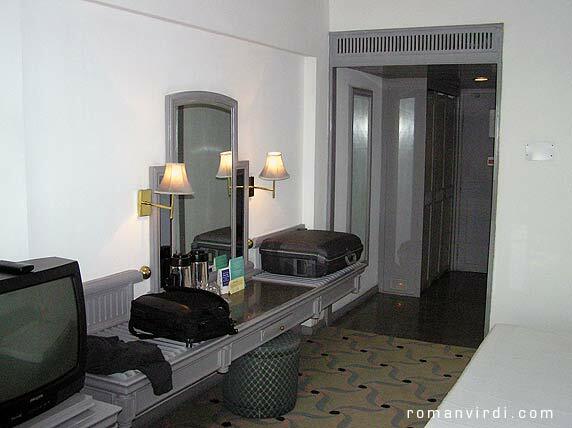 Amenities: TV/phone in room, lift, "master control panel", an electronic gadget to control all the room's lights and a/c was located right on the bedside table (in the picture, see the gold-coloured box beside the telephone). The standard rooms have no room safe, although the reception does. There seemed to be a guard on every story, so I guessed security was not really an issue. Has a great hotel restaurant serving delicious, opulent buffet-lunches and dinners at reasonable prices.